Prof. Rym Ayadi, Founding President of the Euro-Mediterranean Economists Association (EMEA), and Scientific Director of the Euro-Mediterranean Network for Economic Studies (EMNES), was one of the speakers of the “Women in tech salon – connecting women entrepreneurs from Mediterranean countries” event, which was organised on 09.0618 in Brussels, Belgium, as part of the European Development Days 2018. 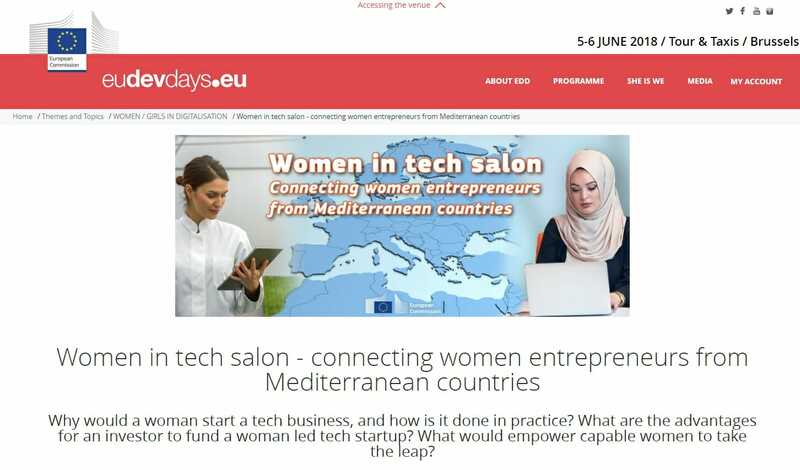 The event aimed at stimulating a first-of-its-kind discussion between a mixed audience of entrepreneurs, investors, policy makers from Mediterranean countries around the opportunities and barriers women tech entrepreneurs are facing when trying to setup/run a business in their countries. Furthermore, Prof. Ayadi announce that EMEA will launch the award for the “Woman Entrepreneur of the Year” from 2018.